Another day, another hastily deleted Instagram post from Hamilton - and the subject is typically controversial, too. 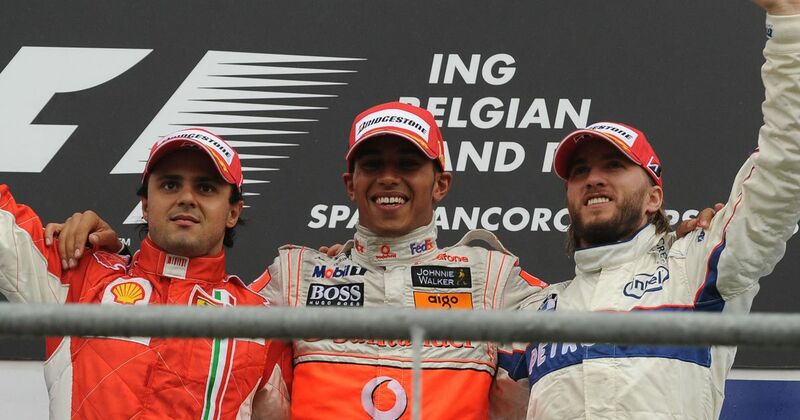 Towards the end of the 2008 Belgian GP, Hamilton was having an absolutely epic battle for the lead with Kimi Raikkonen as the rain came down. Going into the Bus Stop chicane, Hamilton was edged wide and cut the track. He instantly dropped back behind Raikkonen and then repassed him into La Source. Kimi later crashed out as Hamilton went on to win, but the thrill of the battle was dulled somewhat when the stewards penalised Hamilton 25 seconds for leaving the circuit and gaining an advantage. That dropped him to third and Felipe Massa was declared the winner. 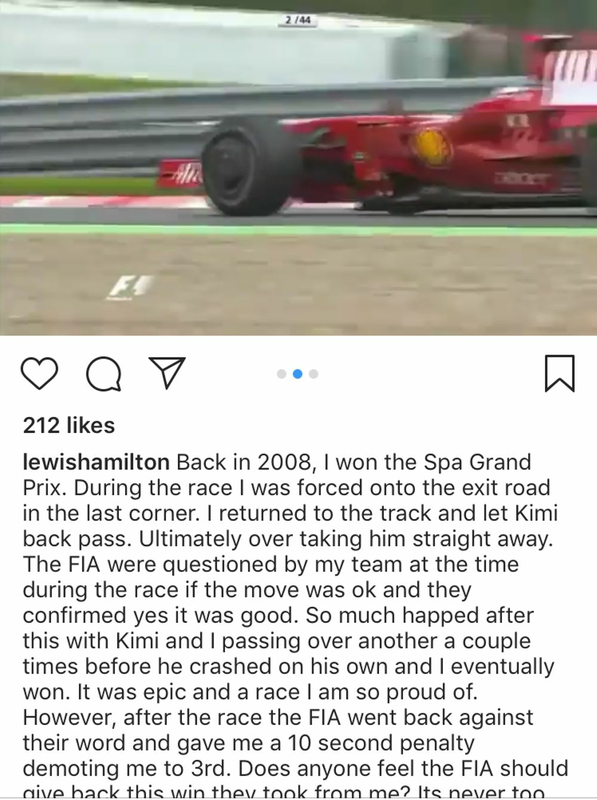 It was (and still is) a hugely controversial moment, and Hamilton took to Instagram suggesting that he should be given his ‘win’ back - though he deleted it soon afterwards. The final sentence read "It's never too late to put things right". There’s no way the FIA could give his win back as once the results of a season are ‘locked-in’, that’s the end of it (hence why Fernando Alonso still ‘won’ Singapore 2008). But even if they could give his win back, should they? At the time the reasoning behind the penalty was that even though he’d given the place back, he wouldn’t have been able to overtake Kimi into La Source had he taken the Bus Stop normally. The FIA later clarified the ruling on the situation, saying in similar situations drivers should wait for one further corner before attempting to pass again, highlighting that Hamilton’s penalty was coming from something of a grey area. Whether you think the outcome was right or wrong, one thing’s for sure - it really didn’t look good for the sport.